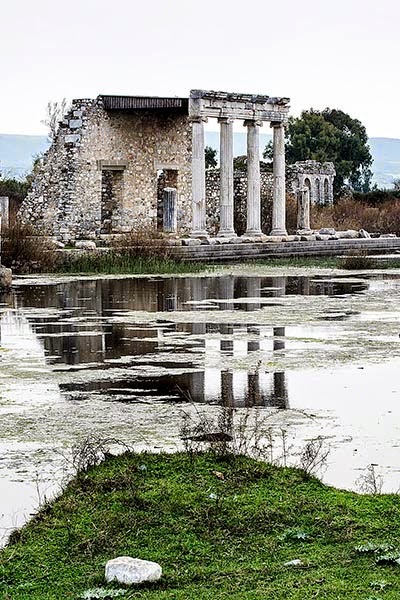 Miletus – What is a Vomitorium? As you drive south from Priene to Miletus, imagine that when they were thriving cities 2000 years ago, you would now have either been swimming or sinking. Instead of the lake of Bafa Golu, this would have been the bay of Bafa Golu in the Aegean Sea. Miletus would have been 22 km on the other side of this large bay. 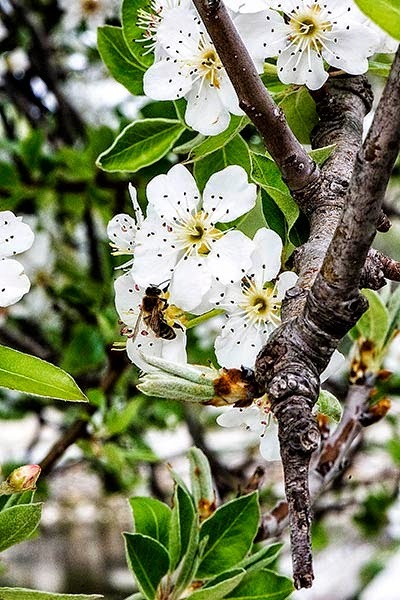 Is it worth going here? This site will help you understand the origin of urban planning we still use today. The most dramatic feature of Miletus is the huge Hellenistic theatre, built in the 4th century BC. Enlarged under Emperor Trajan in the 2nd century CE, it could seat 25,000 spectators, about as large as the theatre in Ephesus (day 9) – which was one of the largest theatres in Ancient Rome. Is the Vomitorium for Throwing Up? Day 10B: The Miletus theatre dominates your view as soon as you reach the park entrance. It is massive! But this is a frontal view with harsh lighting and no trees or other frames for photography. It is more interesting and better photography to walk up the road veering to the right, enter the theatre and walk a bit up the stairs. In the photo are four columns: this was the Imperial Box. Also walk through the vomitorium, the passages situated inside the theatre behind each tier of seats. No, that is not the room where you throw up! The Latin word vomitorium is derived from the verb “to spew forth” from which comes the English word vomit. Now imagine the huge crowds exiting at the end of a performance. Not exactly the same image! Another evocative place is the now drowned (at least when we were there) Delphinion, which we had all to ourselves. This main temple of Miletus is a shrine to Apollo Delphinios (Apollo of the Dolphins), protector of ships and harbours. With four ports this was a clear need for Miletus. 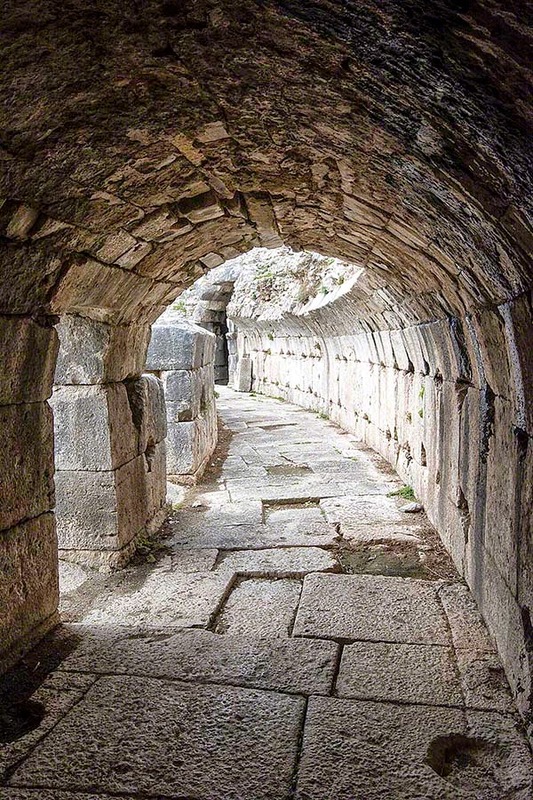 The Delphinion leads onto the processional way to the Temple of Apollo at Didyma. The ancient road is below the water next to the remaining columns of a long corridor. Miletus was the unofficial capital of the Ionian League as well as an important centre of learning, especially philosophy and science. In particular, it is the birthplace of two very important people to all travellers. Isidore of Miletus was the architect of Hagia Sophia (day 3). Hippodamus is considered to be the father of urban planning. 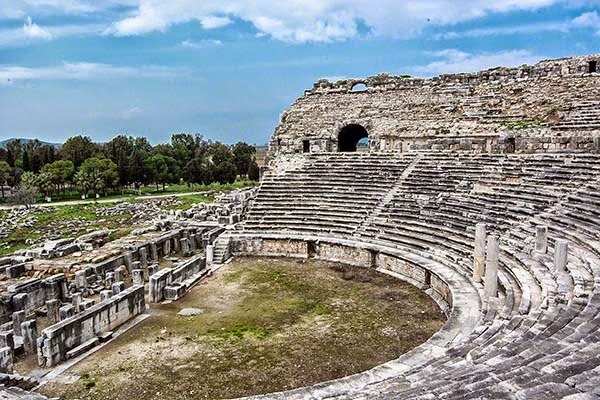 After the destruction of Miletus by the Persians in 494 BC, Hippodamus rebuilt the city on a gridiron plan, which became the Greek and Roman standard for urban planning. He was also responsible for Piraeus (port of Athens) and Rhodes. His plan created separated spaces for public and private buildings. Even to this day, the centre of the city is the home to a city's most important civic spaces; such as, shopping centres (agora), government (bouleuterion), theatres, and religious buildings (temples). We know of Hippodamus from Aristotle’s important work, Politika. But the word politics in Aristotle’s time meant “things concerning the city". The words politics, policy and police all originate from the Greek word polis, or city. For the same reason, polis is found in many current places names; such as acropolis (upper city), metropolitan, Napoli (actual Italian name for Naples, which was founded by the Greeks who named it Neapolis or new city), Indianapolis, and Tripoli. Last but not least, Istanbul was originally simply called Istimbolin by the Greeks meaning “(in) The City”, which was in turn was derived from polis.